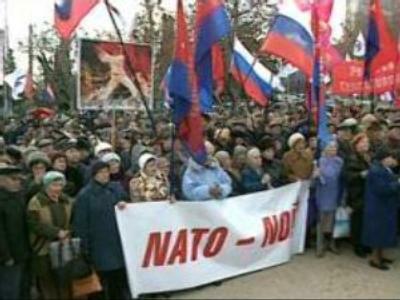 In Ukraine’s Crimea an unofficial referendum has been held, the question brought to a vote being whether people support Ukraine's attempts to join Nato. According to final results, 98% of ballots say ‘no’ to the idea. Only 60% of the Crimean population took part in the vote. And nearly all of them have refused support to President Yushchenko’s course to take Ukraine to Nato.